Another trip to Shanghai last week allowed me to hang out at Xing Guang Shopping Center (you remember - link) and hunt for bargains. 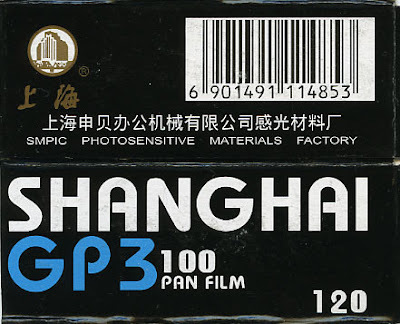 Finally I got my hands on the 120 black and white film Shanghai GP3 for a price of about 60 ct Euro a roll. I am not expecting too much in terms of fine grain and so on, but if it shows similar results like the ERA film, then I am happy. I will ipdate you with the results as usual. Maybe I will give it a try in the Agfa Box ! The other bargain I made: A tripod. Not that I really need a 5th tripod, but the quality is amazing for 30 Euro. 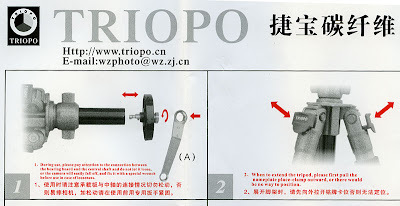 It looks like a copy of Gitzo tripods with the same features and look, just 5..10 times cheaper. I cant judge the longterm quality, but I will work with it to find out. And it came with a bag, my real Gitzo didnt !